This decadent dessert is made with a surprising ingredient: chickpea water! Also known as aquafaba, the liquid from a can of chickpeas contains some residual protein and carbohydrate that enables the liquid to be foamed up — or whipped into stiff peaks like egg whites. 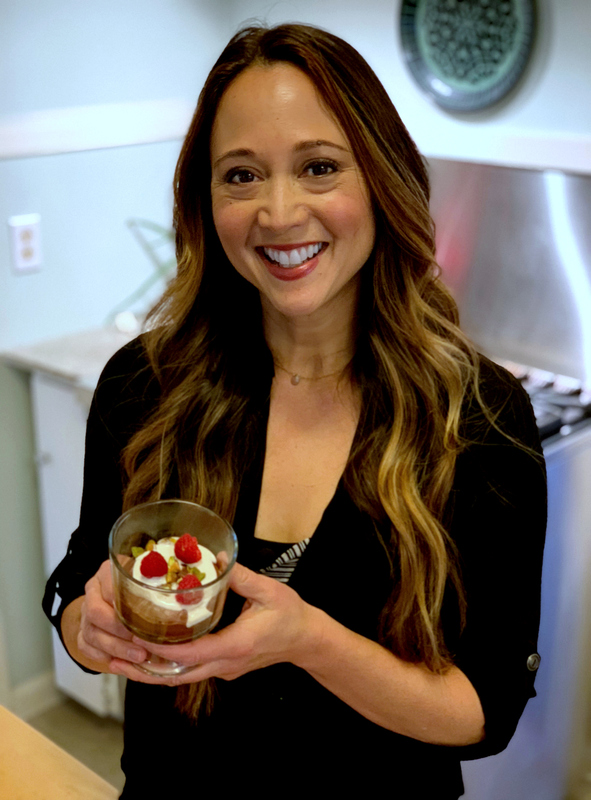 For garnish, consider whipping up a batch of sweetened cashew cream, and top with berries and cacao nibs. You can also use the leftover chickpeas to make my Savory Chickpea Burger, No Bake Chickpea Energy Bites, Crispy Chickpea Croutons, or Thai Carrot Hummus. 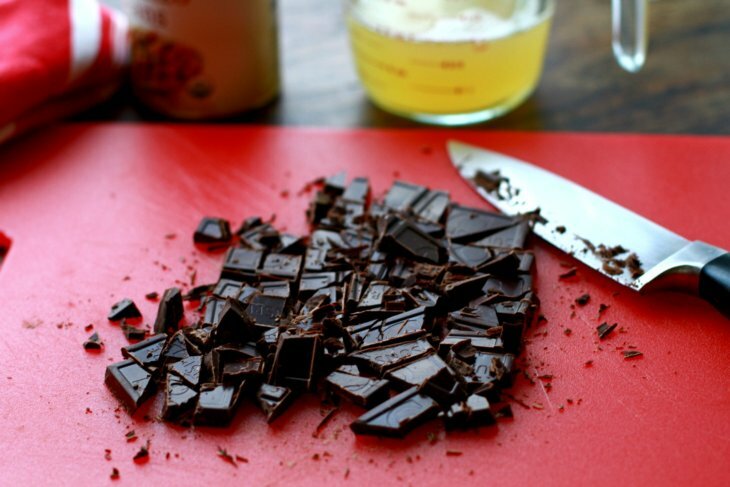 Chop the chocolate and place it in a large glass bowl. Set up a hot water bath by heating water to boil in a medium sized pot. When the water is boiling, reduce heat to low and place the glass bowl over the pot. Allow the chocolate chunks to melt slowly. Once everything is melted, stir gently with a silicone spatula or wire whisk. Remove the bowl from heat and let the chocolate come down to room temperature. Note: the mixture will "seize" and become grainy if the chocolate is too warm when added to the whipped aquafaba. While the chocolate is melting, start preparing the aquafaba. 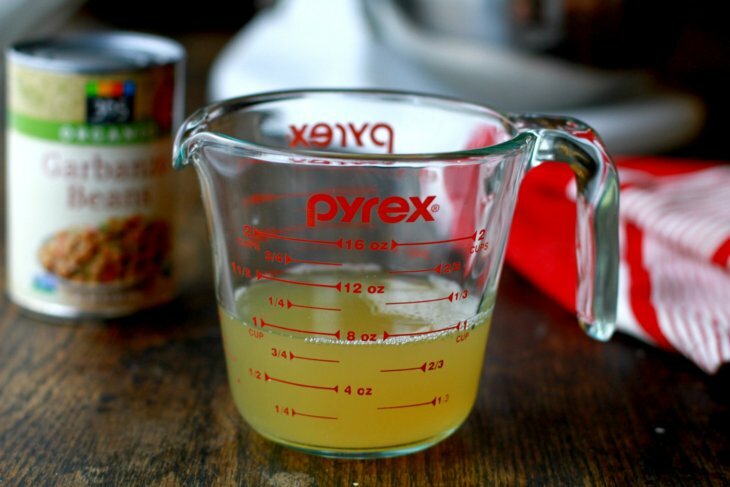 Pour the chickpea liquid into the bowl of a stand mixer fitted with the wire whisk attachment. You can also use a handmixer, but just know that it'll take you about 15 minutes of mixing to get the desired consistency. Whip the chickpea water until foamy, then sprinkle the cream of tartar into the bowl. Then, keep whipping the aquafaba until it forms stiff peaks – this step is very important. 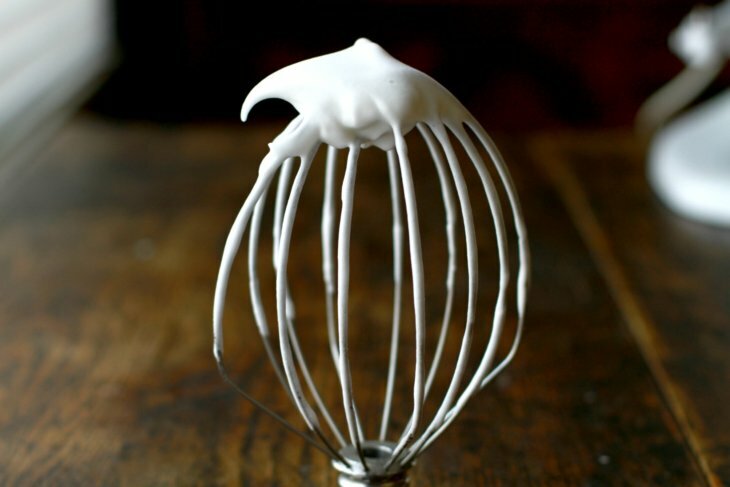 To check if you have achieved stiff peaks, invert the mixing bowl with whipped aquafaba in it. If the aquafaba moves or slides down, keep whipping. You want the mixture to be firm enough so it won't slide out of the bowl. Check the chocolate with your finger to make sure it's at room temperature. Then, gently fold the whipped aquafaba into the chocolate with a silicone spatula. Add about 1/3 of the mixture at a time, gently folding before you add more. The mixture may deflate a bit, and that's normal. Keep adding aquafaba and folding gently until all of the ingredients have been incorporated. Divide the mixture among 4 parfait glasses or small bowls. Cover with plastic wrap and refrigerate for a few hours, or overnight. To serve, garnish with fresh berries, cashew cream, or cacao nibs. 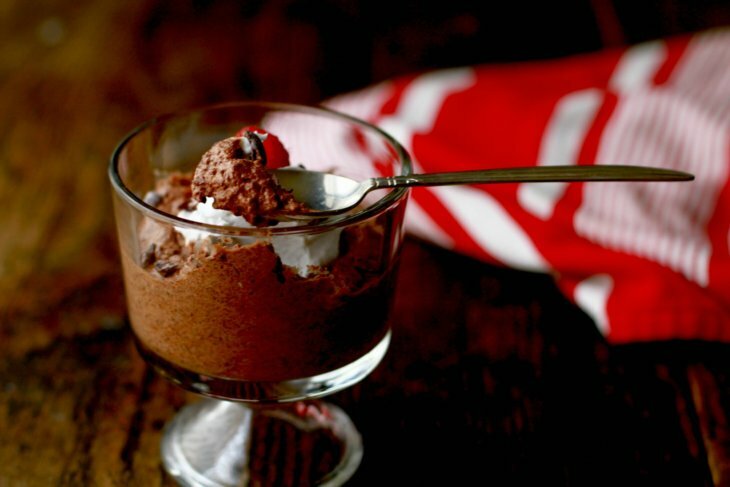 If you make this delicious Vegan Chocolate Mousse, tag me on Instagram. I’d love to hear from you!